Our School continues to be "Good"
"There is a 'family' feel to this small school, with strong, positive relationships evident between adults and pupils"
"The proportion of pupils achieving a good level of development when leaving the Reception class has been higher than the national average over recent years. Results in Year 1 phonics screening check have also recently been higher than the national averages. Key stage 1 outcomes in 2017 show that a larger percentage of pupils achieved the expected standard and at a greater depth in reading, writing and mathematics than was seen nationally". 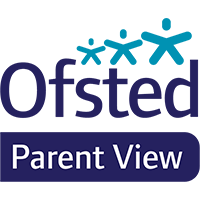 "Pupils told me (Ofsted Inspector) they enjoy the extra-curricular activities provided by the school. They also relish the opportunity to learn to swim and look forward to frequent forest school sessions,. They were unanimous that they enjoyed school and felt safe there"
"Consistently good teaching, combined with an interesting and stimulating curriculum, ensures that pupils in all classes make good progress from their various starting points in a range of subjects"
Relationships at all levels are warm, positive and enhance the school’s Christian character. The impact of worship on the pupils is evident throughout the school’s daily life. The school’s nurturing Christian character enables all pupils to thrive and achieve."